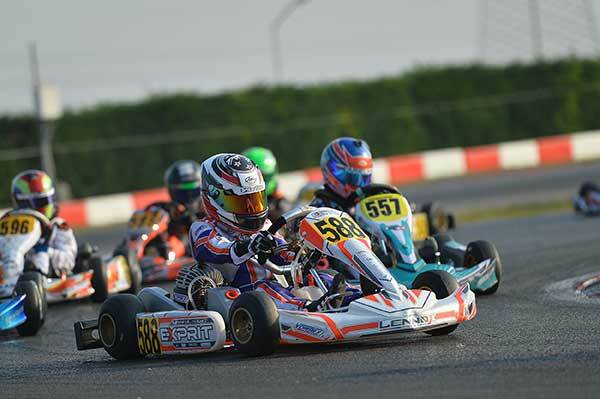 Young Kiwi karters Jacob Douglas from Christchurch and Kaden Probst from Auckland have endured a tough start to their WSK Final Cup series’ Mini 60 class campaigns in Italy over the weekend. Both missed the cut to reach the Mini 60 class Final, won by Alex Powell from Jamaica, with Italian Brando Badoer second and Irfan Coskun from Great Britain third. Both young Kiwis were offered drives in the three-round WSK Final Cup series on the strength of their performances in the Mini ROK category at engine manufacturer Vortex’s annual ROK Cup International event at the South Garda Karting Track at Lonato in northern Italy over the October 12-13 weekend. At that meeting Douglas won a heat race and ran as high as 6th (before crossing the finish line in 10th but classified 15th) in the Mini ROK Final, prompting Exprit team boss Jordon Lennox-Lamb, to offer the 13-year-old a drive in the Mini 60 class over the WSK Final Cup Series. Kaden Probst also did well at the ROK Cup meeting, finishing 24th in the same Group as Douglas after the heats (for which he qualified 7th in his Group and 38th overall) and claimed a best heat race finish of 5th. That got him a starting spot of P14 for the Mini ROK Singha Trophy (B Main) from where he made it up to 7th place. 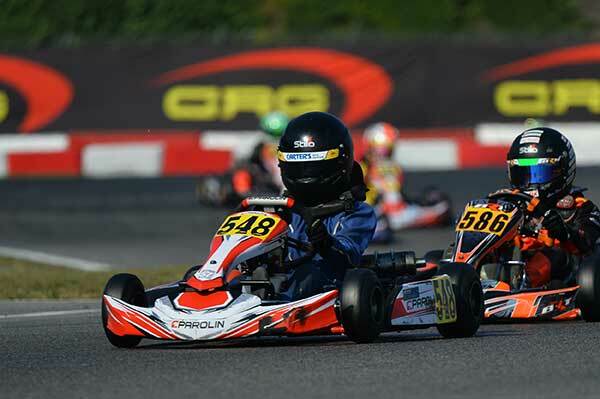 That prompted he and his family – currently on an extended holiday in Europe – to stay on in Italy so that Kaden could take up an offer with Parolin team, Black Racing, to do the Final Cup series in the Mini 60 class. Both, however, found the WSK Final Cup Mini 60 class a much harder nut to crack this weekend, Douglas heading into the heats 50th (out of 95 entered), Probst 83rd. However, where Douglas was twice hit with 5 second penalties for contact (nosecone penalties) in the heat races, Probst appeared to run ‘under the radar,’ to the point where after the heats (where the cut off was at 68) he was classified 77th, with Douglas 87th. “A tough weekend for me but I learned a lot which I will apply the next time I race,” Jacob said on Sunday. The second round of the WSK Final Cup series is over the Nov 10-11 weekend at the Laghi International circuit, while the third is at Adria on November 24 and 25.